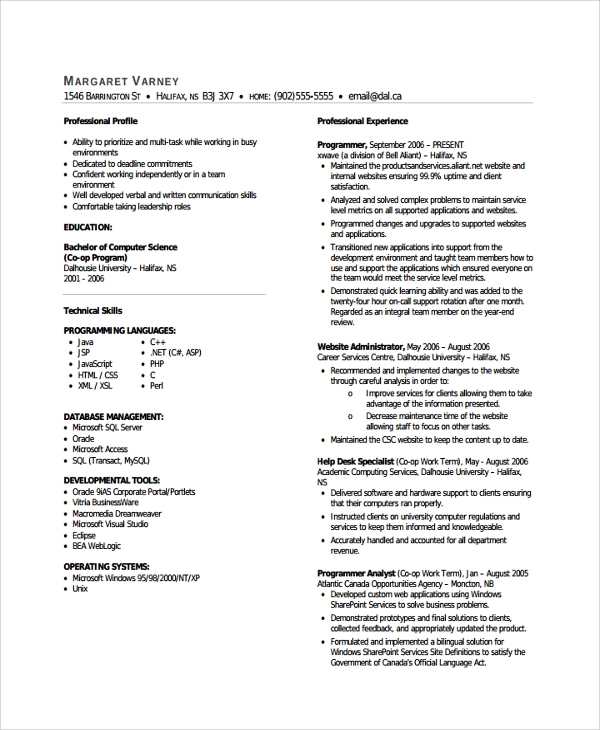 How is it like to have your first experience writing your resume? I believe that some people did a lot of mistakes and gave up while some found it so difficult that they decided to ask their friends for assistance whereas others may have paid someone to do the writing for them. Whichever group you’re in, the fact remains that the first-time trial is always an uphill task. 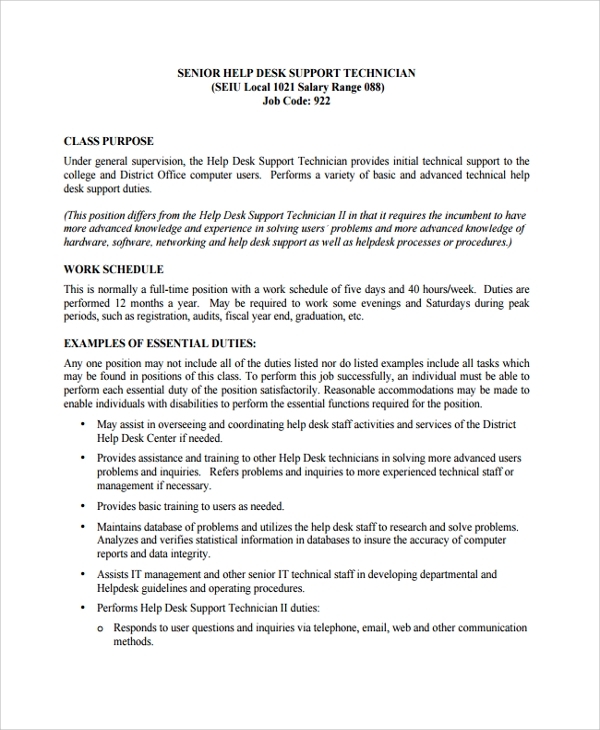 The Help desk technical resumes have examples of Resume Templates to help you start it all again in a more professional manner. It has your address on the left, name and phone number in the middle and email on the right. 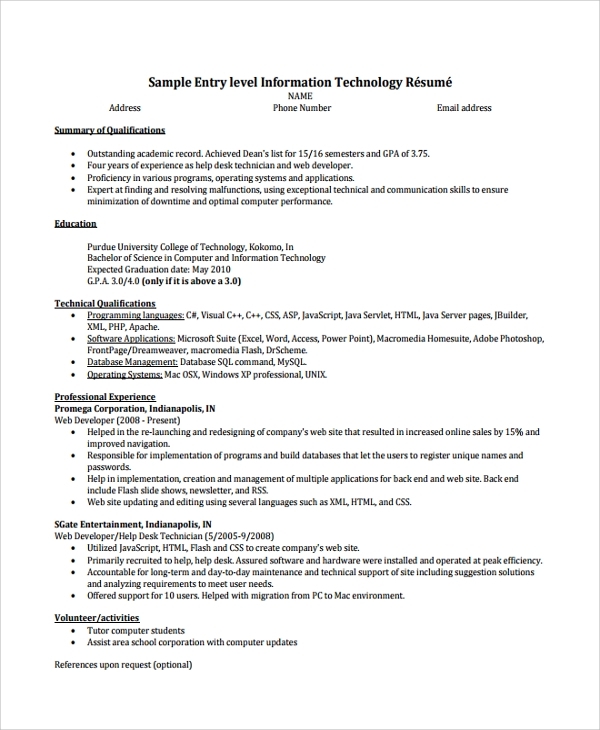 The format of this Professional Resumes is appealing to the eye. Summary of qualifications is the first to be put and well explained followed by education starting with the highest level attained and the institutions. You will also have to give details of all your technical qualifications and your professional experience details starting with the current one. Volunteer activities and the institutions where you did it are also indicated and lastly, you can put in the references if you are asked to do so. 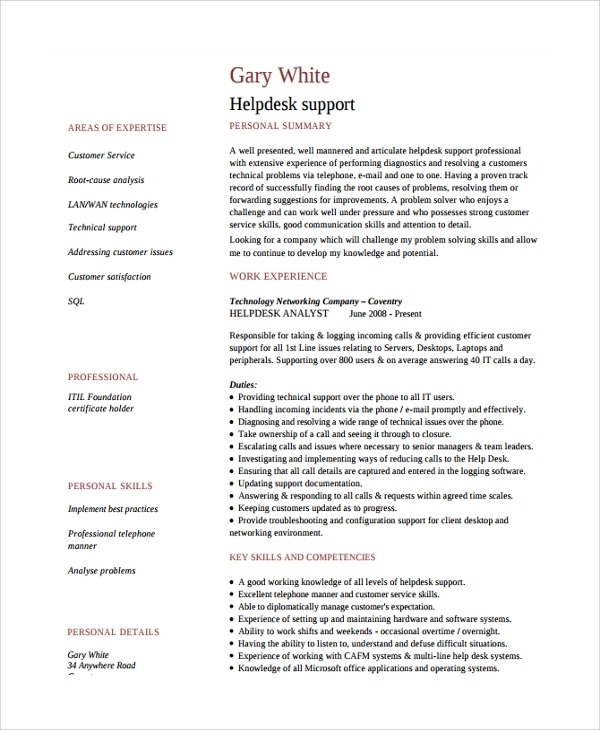 If you are writing a resume as a senior help desk technician resume then you need to follow this format. You must start with class purpose and give all the relevant information about it and followed by your work schedule on how you have always operated. You will also have to give examples of all other essential duties that you performed and give your job description in details. Minimum qualifications followed by desirable qualifications are detailed in that order. Environmental demands is another area that is addressed followed by physical requirements and lastly are tools to be used. 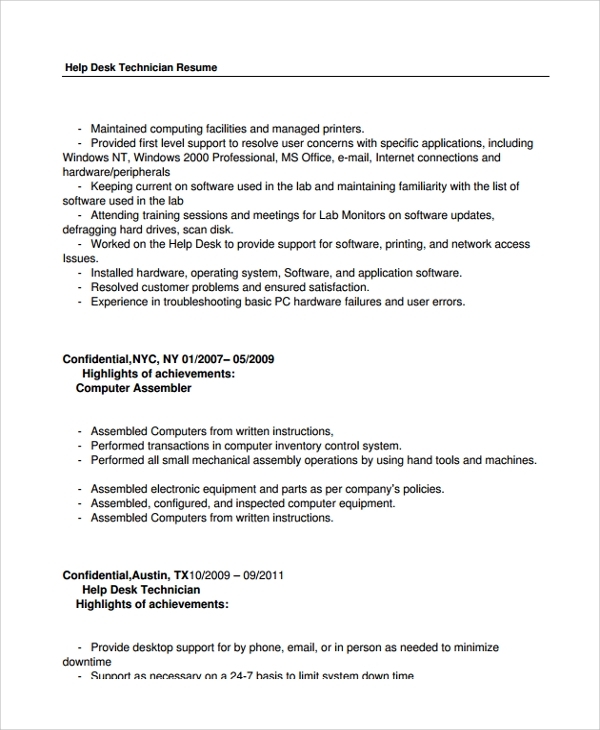 This resume needs that every category is well detailed. 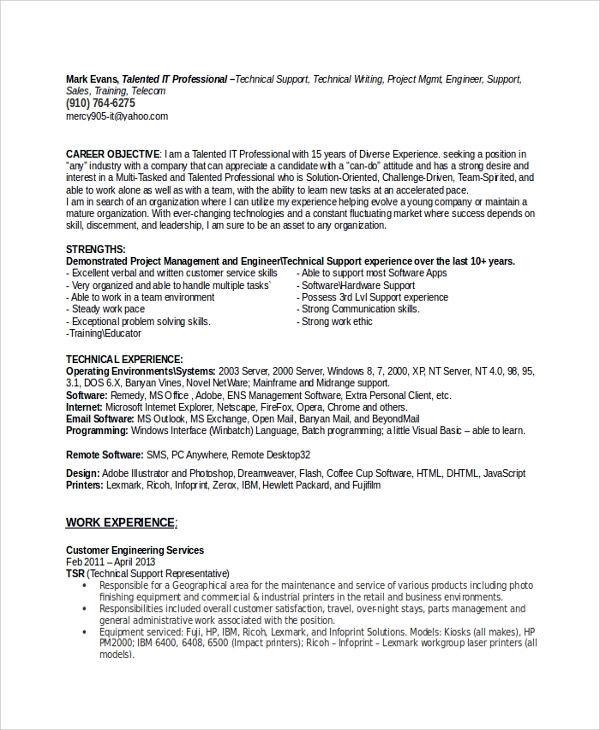 This resume has a technical appearance unlike the others that have a normal outlook. It starts with a job summary. Detailed information is needed to be given for all Software, hardware and all the other aspects. Your experience should be clearly stated with institution and duration. Highlights of achievements should also be put down starting with the current one giving all their details. The last but not least in the list is the education background. 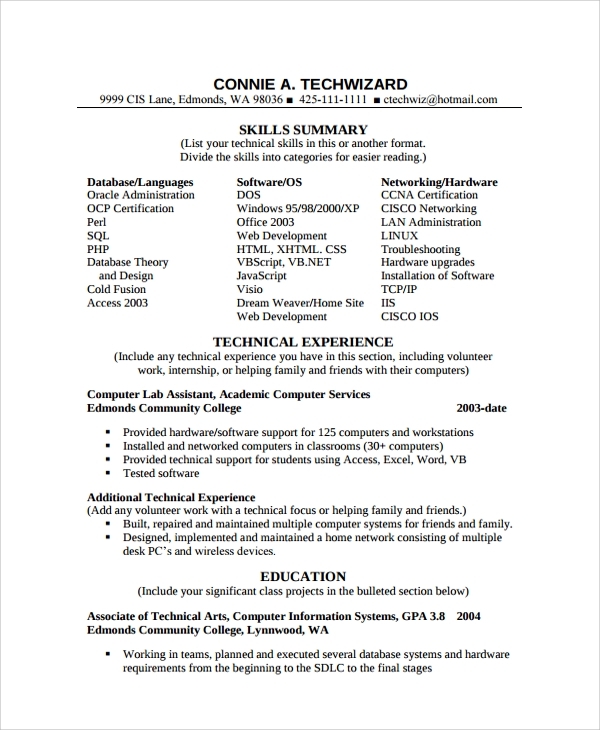 This resume should start with your name and attributes at the top left of the page followed by your contact details. Career objectives, strengths, and technical experience should follow in that manner with all required details clearly stated. Work experience with institution and duration should come next in the line. Education and qualification are detailed followed by certifications. Must I Follow the Given Formats? A resume summarizes your long story in a way that can be easily understood. You need a resume to apply for your dream job. 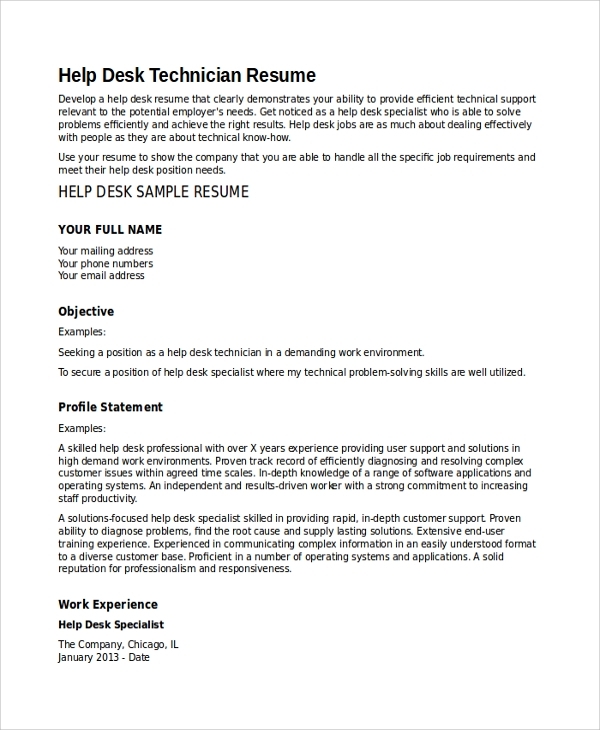 Only a well-written resume will get you somewhere near to that job that you’re waiting for so it is important that you write your resume according to the format given. 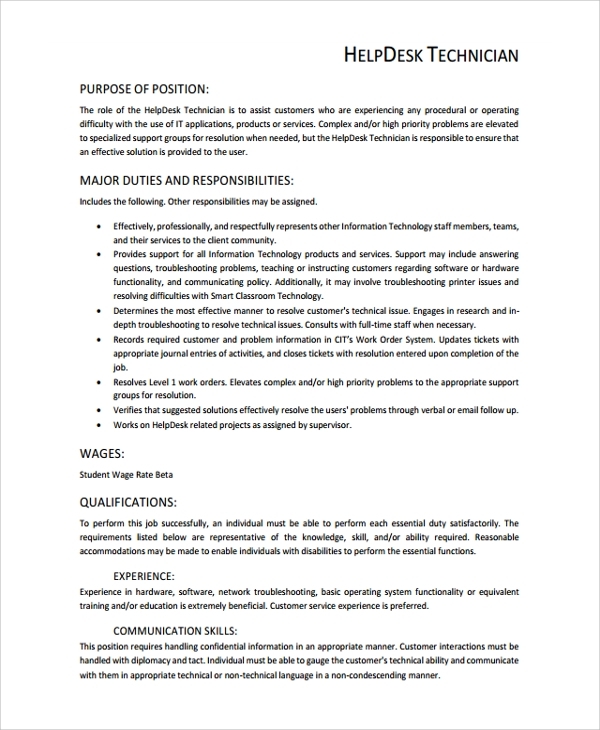 You are very much welcome to talk, use and also visit our website for more of such resumes.